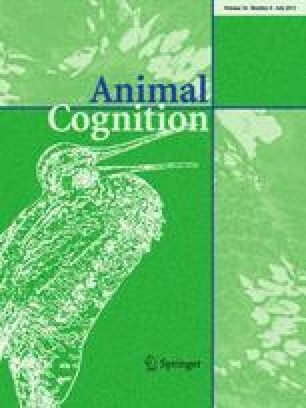 In most experimental work on animal cognition, researchers attempt to control for multiple interacting variables by training subjects prior to testing, allowing subjects to participate voluntarily, and providing subjects with food rewards. However, do such methods encourage selection bias from subjects’ personalities? In this study, we trained eighteen zoo-housed capuchin monkeys (Sapajus apella) for two experiments, under conditions of positive reinforcement (i.e. food rewards) and free-choice participation. Using a combination of behavioral and rater-based methods, we identified and validated five personality dimensions in these capuchins (Assertiveness, Openness, Neuroticism, Sociability, and Attentiveness). Scores on Openness were positively related to individual differences in monkey task participation, reflecting previous work showing that such individuals are often more active, curious, and willing to engage in testing. We also found a negative relationship between scores on Assertiveness and performance on tasks, which may reflect the trade-offs between speed and accuracy in these animals’ decision-making. Highly Assertive individuals (the most sociable within monkey groups) may also prioritize social interactions over engaging in research. Lastly, monkeys that consistently participated and performed well on both tasks showed significantly higher Openness and lower Assertiveness compared to others, mirroring relationships found between personality, participation, and performance among all participants. Participation and performance during training was clearly biased toward individuals with particular personalities (i.e. high Openness, low Assertiveness). Results are discussed in light of the need for careful interpretation of comparative data on animal cognition and the need for researchers to take personality selection bias more seriously. The online version of this article (doi: 10.1007/s10071-013-0603-5) contains supplementary material, which is available to authorized users. This research would not have been possible without the many people involved in the capuchin personality study, particularly A. Weiss, S. Brosnan, and B. Thierry. F.B.M. would also like to personally thank Prof. Andrew Whiten, Director of Living Links (RZSS), who gave permission to conduct research there, and all of the Living Links/RZSS staff and students who kindly provided support and assistance. We also thank K. Howie who gave helpful statistical advice, P. Hancock who kindly conducted the bootstrapping analysis used in this study, the BERG (University of Stirling) for their feedback, and J. Anderson, S. Brosnan, and the anonymous reviewers for providing useful comments on earlier drafts. F.B.M gratefully acknowledges the Charles A. Lockwood Memorial Fund and the University of Stirling for funding. The authors declare that they have no conflict of interest.